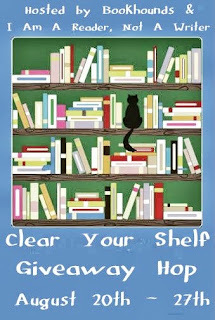 Organized by the lovely bloggers at BookHounds & I'm A Reader, Not A Writer. Exciting giveaway everyone! 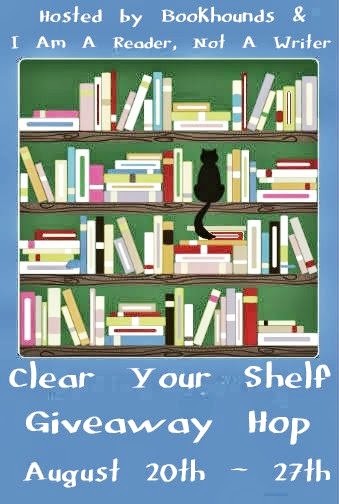 I joined a "Clear Your Shelf" blog hop which allows bloggers to get rid of books they already own by holding a giveaway. 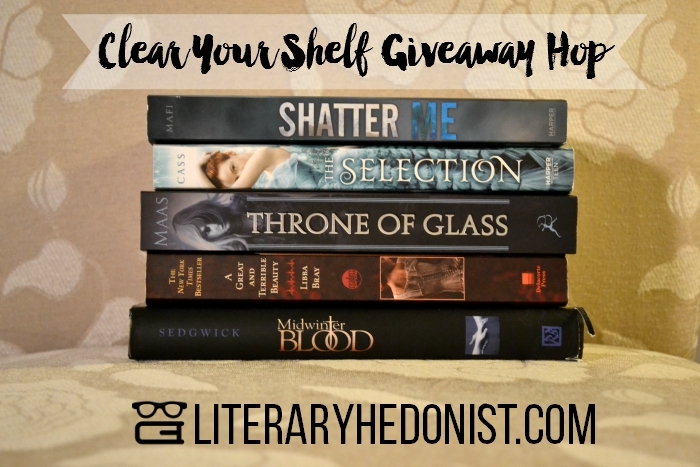 I have five popular books for you, all categorized as YA & Fantasy. This giveaway is open to the U.S. only, considering international shipping is rather expensive. It will be running until 8/27/15. I will be contacting the winner via email. You will have 48 hours to respond before I choose another winner, so be prompt. Ahhh!!! I love these books, but unfortunately I don't have them! Thanks for the giveaway!!! Thank you so much for this giveaway! I don't own any of these. By the way I love your blog! What a fantastic selection! I don't own any of these either. Thanks for the chance to win! Wow! Amazing group of books , Thank you for the chance ! These all look like wonderful books. This would give me a chance to start some series that I have heard such great things about. The Shatter Me series is one of my all time favorite series. What a great group of books! Love Mafi! How exciting. You have got good taste! A Great and Terrible Beauty by Libba Bray is wonderful.